Ships today if you order in the next 7 hours 55 minutes. Pumpkin Seeds from NOW provide protein, iron, and other nutrients. Pumpkin seeds are high in iron, so pumpkin seeds may be a good way for those who are iron deficient or those who are vegetarian or vegan to get iron in their diets. Iron may help the body transport and store oxygen. Pumpkin seeds are also high in protein. Protein may help the body to remain sated for longer, and may help to support the recovery and health of lean muscle. These pumpkin seeds are organic and unsalted. They are also packaged using Now's Fresh Fill Technology to help maintain flavor and freshness. The seeds can be eaten raw or they can be roasted and salted. It is recommended that they be refrigerated after opening. 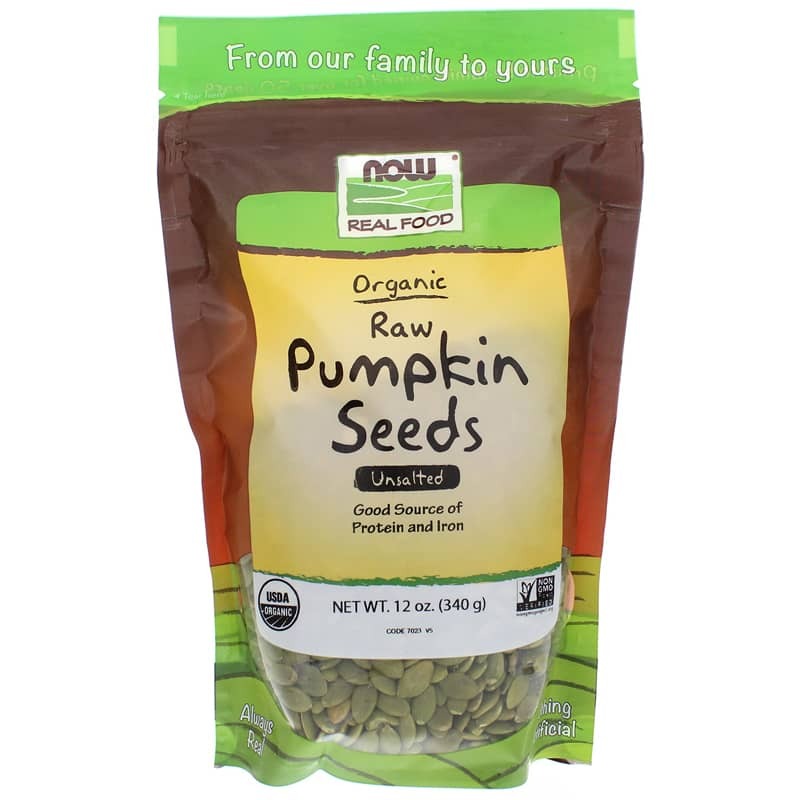 Ingredients: Organic, Raw Pumpkin Seeds (Non-GMO). Certified Organic by QAI. Pumpkin seeds are a rich source of protein and iron. Real good pick-me-up after a work out in the gym. Also a good choice for the vegetarian because of the iron value.